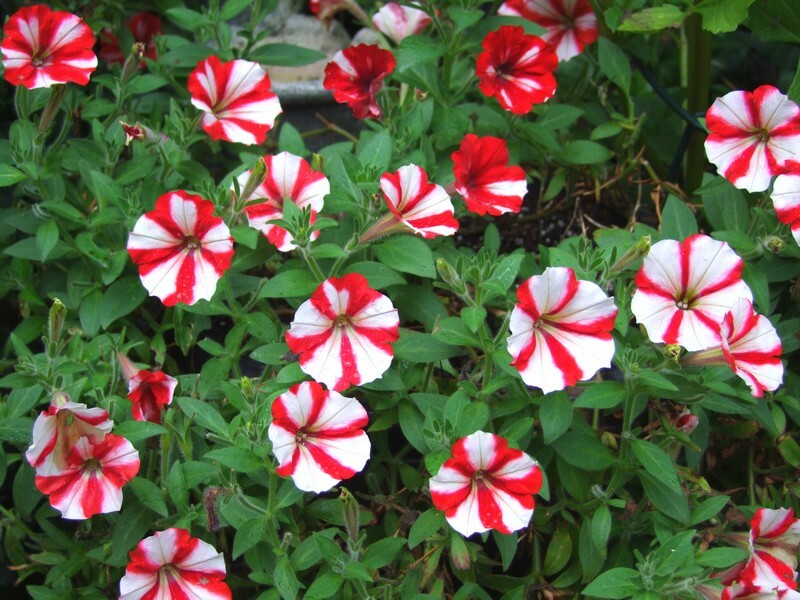 Crazytunias are the newest thing in Petunias this year. Breeders were told to “go crazy” in their breeding and this series is the result. 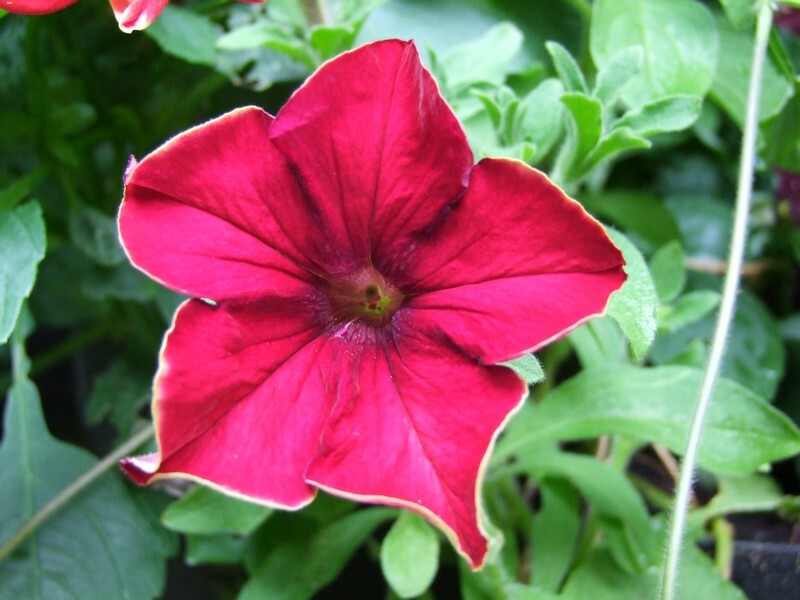 I bought four of these (out of 19 varieties) for my garden in early spring, Cherry Cheesecake, Mandevilla, Star Jubilee, and Terracotta. All of them are pretty, but for me, they have been a little disappointing. 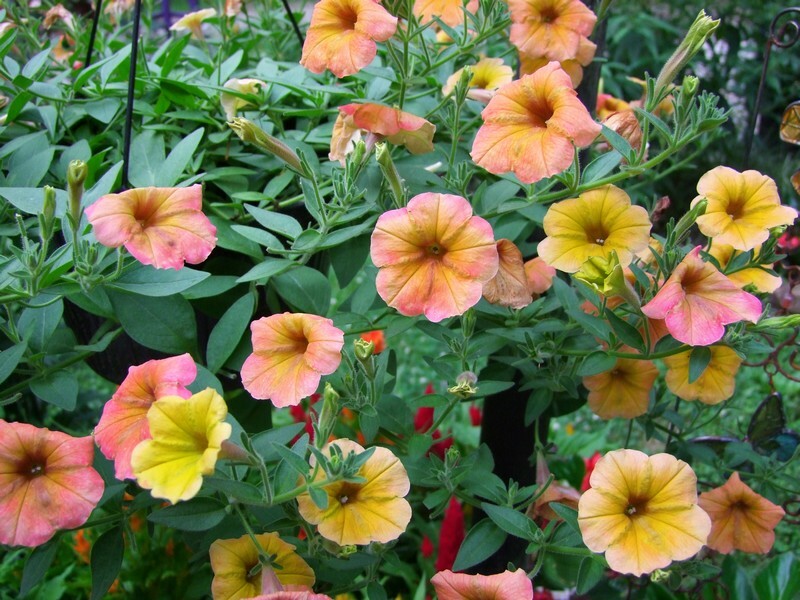 Of the four, Terracotta has been the heaviest bloomer, Cherry Cheesecake the most striking flowers, Mandevilla the weakest grower, and Star Jubilee the leggiest and largest-flowered. 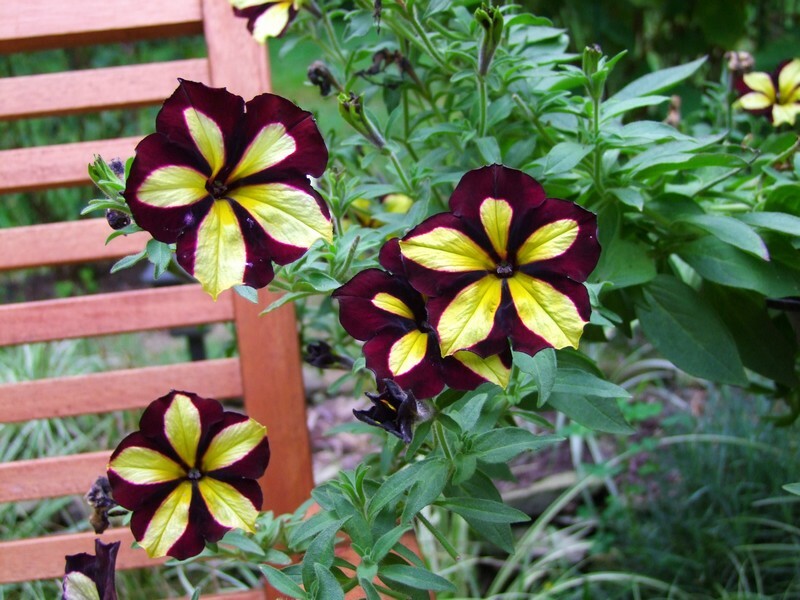 I didn’t find them any more rain-tolerant than any other petunia, and although they are not supposed to have to be deadheaded, they really look bad if you don’t. They look fine from a distance, but up close, the spent flowers clinging to the plant really take away from their beauty. I did prune them back several times throughout the summer, and kept them well-fed and watered. They don’t recover well from rain, especially Star Jubilee, and they had to be clipped back a lot to get rid of the soggy spent flowers.. too much work if you had a lot of them. I used Terracotta in a hanging pot, the rest I used in containers on my patios. As is usually the case, none of them were as beautiful and prolific as I expected them based on growers photos, but I’ll probably try them again next year in some of the other colors. To see all the available colors in a pdf file, go here. What a wild bunch! I like the star jubilee best. PS — I have been trying to leave comments on your blog, but sometimes I don’t think they go through. I don’t know if it’s my OpenID profile or what, but I’ll keep trying.